Please notice that we will update this section as more information gets available. CHICAGO, IL – June 27, 2007 - Midway Games Inc. (NYSE: MWY), a leading interactive entertainment publisher and developer, today announced that five new titles are in development exclusively for Nintendo systems. Only for Wii, experience the rebirth of action racing with Cruis’n and a collection of classic skill games with Game Party. Ultimate Mortal Kombat, The Bee Game™ and a title based on Cartoon Network’s top-rated, kids animated series Foster’s Home for Imaginary Friends are all in development exclusively for Nintendo DS. All of the titles are custom designed to take full advantage of the unique controls and interface of the Wii and Nintendo DS and are scheduled to be available in 2007. In addition to these newly announced products, Midway has recently released Mortal Kombat®: Armageddon™ for Wii and Touchmaster™ for Nintendo DS. 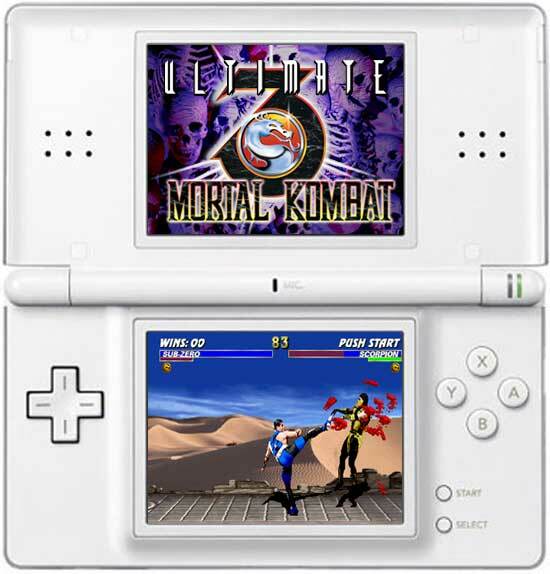 Ultimate Mortal Kombat (Nintendo DS, November) -- Ultimate Mortal Kombat combines the visceral thrills of the classic Ultimate Mortal Kombat 3 and the addictive puzzle action of the Puzzle Kombat component of Midway’s best-selling Mortal Kombat: Deception® in a single DS-friendly package. With new record-keeping capability, and Nintendo® Wi-Fi Connection multiplayer, players will be able take UMK anywhere for fighting action on the go. Cruis’n (Wii, November) -- An all new version of the classic Midway arcade racer, Cruis’n is coming exclusively to the Wii. Choose your ride from an impressive lineup of licensed cars and experience a rush of adrenaline as you race opponents through twelve different street circuits using the Wii Remote™ to steer and perform outrageous stunts. Win races and earn upgrades including: turbos, body kits, neon and nitrous, allowing you to create the ultimate ride. Game Party (Wii, November) -- Game Party for the Wii is a collection of classic skill games from around the world, from American sports venues to European gathering spots. Using the Wii’s unique control interface, you can play classics such as darts; modern favorites such as table hockey and hoop shoot, or participate in multiplayer trivia contests. More than a half dozen games are available. It’s the ultimate party game. Foster’s Home for Imaginary Friends: Imagination Invaders (Nintendo DS, November) -- For the first time on the Nintendo DS experience the fun of Cartoon Network’s hit show in Foster’s Home for Imaginary Friends: Imagination Invaders, playing as head mischief-maker Blooregard Q. Kazoo. Goo has done it again…her overactive imagination has conjured up a group of diabolical cosmic invaders, the Space Nut Boogies. They’ve raided Foster’s Home for Imaginary Friends and taken Madame Foster hostage in search of The Greatest Thing in the Universe, and it’s up to you to stop them! Play as Bloo as you explore the Foster’s house, sneak past the Space Nut Boogie guards, and gather Mac, Coco, Eduardo and the rest of the gang to rescue Madame Foster! The Bee Game (Nintendo DS & Game Boy® Advance, November) -- The Bee Game for Nintendo DS and Game Boy Advance lets players experience the adventures of Maya the Bee and her friend Willie as they search for their friends. A strong storm has blown through corn poppy meadow and some of the residents of the hive are now missing! Help Maya and Willie by taking on challenges and completing mini-games to find clues in the meadow, dark forest, blue pond, deep caverns and the garden to locate the other bees. Mortal Kombat: Armageddon (Wii, Available Now) – Custom designed with all new controls and available for the first time ever on the Wii, players will be able to experience the latest chapter in Midway’s award-winning, best selling video game fighting franchise, Mortal Kombat: Armageddon. With the most complete roster ever, including more than 60 fighters from the entire Mortal Kombat universe (past, present and future), a revolutionary Kreate-A-Fighter mode and Kreate-A-Fatality mode, plus Konquest mode and a brand new Endurance Mode, Mortal Kombat: Armageddon promises to be the most complete, intensely lethal, fighting experience ever! Touchmaster (Nintendo DS, Available July) -- The wide variety of highly interactive mini-games made Midway’s Touchmaster a favorite in bars and arcades across the country are now available whenever, wherever with Touchmaster, exclusively for Nintendo DS. Touchmaster is a natural fit for the touchscreen and stylus of Nintendo DS, and is perfect for a quick gameplay session. There’s something for everyone to choose from, with a wide variety of 23 Midway’s classic Touchmaster games, including Trivia, Solitaire, Gem Slide™ and Mah Jongg. With the Nintendo Wi-Fi connection, players can connect to the Midway Tournament Network® for high scores, tournaments and daily rankings. IGN: Explain what "Ultimate Mortal Kombat" is for the Nintendo DS. 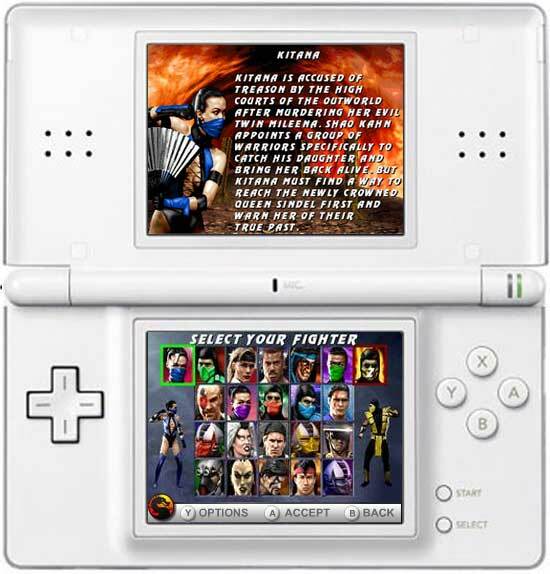 Ed Boon: Ultimate Mortal Kombat for the Nintendo DS combines the arcade version of Ultimate Mortal Kombat 3 and Puzzle Kombat which first appeared on Mortal Kombat Deception. Both games are included on this version and they both can be played solo, locally against a friend (on another DS) or online over the internet. We're really excited to have both of these games in one!! IGN: Why the arcade game and not the MK: Armageddon design? Ed Boon: We've been fortunate enough to have some great success bringing back the "old-school" MK games to some of the newer consoles. We've had great online playing versions of MK2 and MK3 on the Xbox 360 and the PS3. The DS has never had an MK game before so we thought it was a perfect fit. Since UMK3 has already come out for the home, we wanted to also offer something that the previous versions didn't have so we are including Puzzle Kombat. I'm not entirely sure we would be able to fit all of MK Armageddon on a DS cartridge. 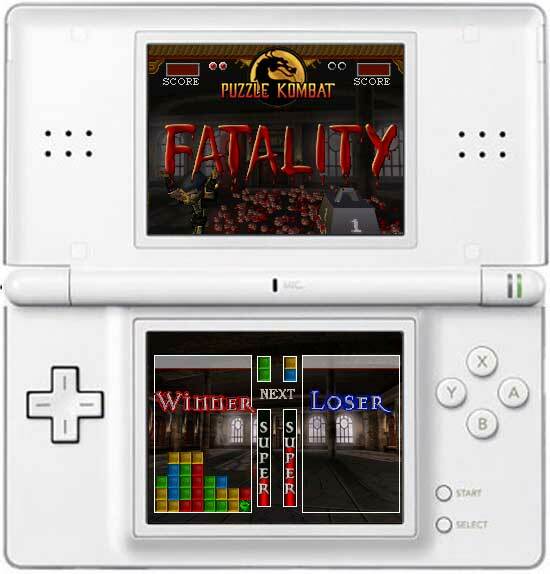 IGN: The previous Mortal Kombat updates for the Game Boy Advance, Mortal Kombat Deadly Alliance and Mortal Kombat Tournament Edition were excellent, but the last time the classic Mortal Kombat 3 arcade game hit a Nintendo handheld it was, admittedly, horrific. Please do us a favor and put our minds at ease: how will you assure that this game will be arcade accurate on the Nintendo DS? Ed Boon: Oh come on now! 2.0 isn't THAT bad of a score….it's better than 0.0 !! Actually if I can volunteer a little bit of insider information, Mortal Kombat Advance was completely made without my input. For what it's worth, the original design team and I are very involved with this version of Ultimate Mortal Kombat for the DS. It will be arcade accurate and we are very excited about it. IGN: So Mortal Kombat 3 can be obtained for cheap on the Xbox 360, and as one of many games on the PlayStation Portable for a bargain price. What are you doing on the Nintendo DS to make the game a worthwhile purchase? Ed Boon: You're right. What we like to do is offer Mortal Kombat on different platforms so that we can take advantage of what those platforms have to offer. In the case of the DS, you can now take Ultimate MK with you and play against friends or strangers where you could not before….basically anywhere there is WiFi access. We also added Puzzle Kombat as an added bonus and included online play with that as well. Neither of the previous releases let you play these games portable and online. That's one of the features the DS offers over the home consoles. IGN: Is the DS game being handled internally at Midway, or in development at an outsourced handheld developer? What's the team done in the past? Ed Boon: Ultimate Mortal Kombat is being developed by "Other Ocean Interactive". They used to have the name "Backbone Entertainment" and have a LOT of experience with Mortal Kombat and online play. They did an amazing job at making Ultimate MK3 for the Xbox Live Arcade and the online play for that game was outstanding. We are fully expecting that kind of excellence in this version of MK as well. IGN: An early screenshot of the game shows that the second screen's only being used to display a logo. Is this just an early mock-up? What sort of ideas do you have planned for the extra display? Ed Boon: That was an early mockup. We are experimenting with different ways to use the DS's extra screen. In Puzzle Kombat we are utilizing the upper screen to display the puzzle fighters as well as the Death Traps. This lets us devote the entire lower screen to the actual puzzle play. As for the fighting we are working on a few ideas but haven't fleshed them all out and aren't quite ready to share them just yet. We don't want to radically change the control scheme for this game but would also like to introduce a new feature that takes advantage of the hardware. We will definitely keep you posted. IGN: Any touch screen functionality being inserted in there? Ed Boon: We are also working on some ideas for the touch screen. However, since the player's hands will be busy with the direction pad and the attack buttons, we probably won't do something crazy like having the player touch the screen for punches and kicks. 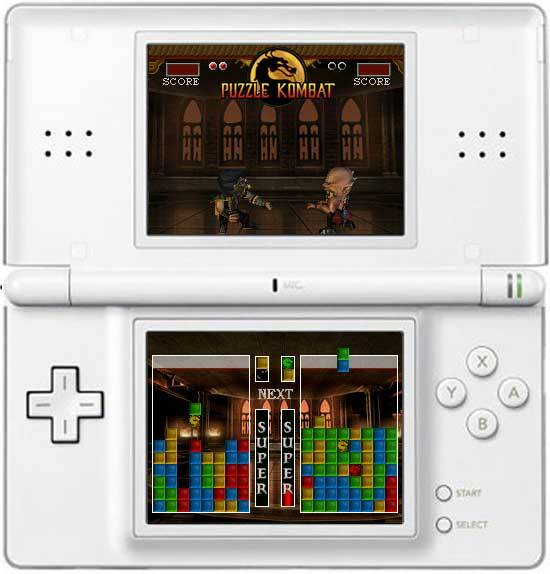 IGN: What sort of multiplayer features are being planned for Mortal Kombat on the Nintendo DS? Ed Boon: We are planning on letting players fight against each other locally as well as finding opponents to fight against over the internet. We would also like to include game sharing, which would let someone without the game play by sharing the cartridge with someone who has the game locally. Currently, we are not sure to what extent we will be taking this feature but will certainly let you know when our decision is made. Click here to read the full article at IGN. Midway has finally released another character bio from Mortal Kombat: Armageddon: Nitara. If things keep going like this we will probably get the last bio a day or two before the release of Mortal Kombat 8. Reports of genocide raced throughout the restored Moroi Empire. Many vampires had been slain; none had yet survived an attack to describe the assailants. I set forth to uncover the truth. Examining the wounds of the dead, I came to the disheartening conclusion that these murders were not the work of a band of assassins. The victims had fallen to the blade known as Datusha, the bane of the Moroi. The ancient kriss had found a new wielder. It had returned for vampire blood. Though Datusha's origin has been lost to history, its purpose is clear: It lives to kill as many vampires as it can. We are a powerful race; there are few who threaten our immortality. It has been speculated by the Elders that the sword itself may be our one "natural" predator. The accursed blade finds a wielder and corrupts them into believing they are slaying for some higher purpose. In the past it has chosen a vampire as its puppet. The last was Kahil Grigesh. Though he was driven mad by the power of the sword, he was strong enough to eventually overcome its mind control. To atone for slaying his fellow vampires, he took the sword into the Netherrealm, where he committed hara-kiri, imprisoning Datusha in Hell. It was believed that the sword would never find another vampire wielder in that desolate place. Safe from slaughter, our numbers had exceeded those of any recorded era. But with Datusha's return, vampires were being rapidly driven to extinction. Something needed to be done! The Elders researched ancient vampire texts, hoping to find some means of defeating the blade. An obscure Edenian prophecy they found might hold the key. It describes a force of great power concealed in a crater there. I was commanded to find this power and use it against our foe. As I made for Edenia, I came upon a massacre. The bodies of my vampire kin lay everywhere. Amidst the carnage stood a woman in white wielding the unholy kriss. Enraged, I did battle with her -- but she was too powerful. I broke away, luring her out of Vaeternus as I escaped. As long as her attention is fixed on me, the vampire nation will be safe. I must draw Ashrah closer to the crater and use the Edenian weapon against her. This may be our only hope of eliminating the blade once and for all. May the Moroi Live Eternal! Click here to see the original bio page on the Official Mortal Kombat: Armageddon Website. We have also updated our Mortal Kombat: Armageddon section, which now includes this bio too. Ninja Grinder and I present to you Mortal Kombat Trilogy: Infinito (N64) . This video contains all known Mortal Kombat Trilogy (N64) infinites, some of which never shown before in a combo video. The music is mixed by NinjaGrinder. The video is 7:30min long and contains over 40 infinites. Huge thanks to Battosai for her help with the compression and the intro! Click here, to download the video or here to watch it online from YouTube. Yesterday Midway released the PAL version of Mortal Kombat: Armageddon for Nintendo Wii. With this final release of the game (for now) we decided that it is time to update our Mortal Kombat: Armageddon section. This was actually the reason for the lack of news updates during the last few days. But don't worry, everything that didn't appear on the front page is now in our Mortal Kombat: Armageddon section: all new screenshots and images, reviews, Fatality and Special Moves guide for the Wii and more. We have also added a lot of other information making our Mortal Kombat: Armageddon section a little bit more complete. Please notice that this section is still under construction, so keep checking for updates.